Vitamin P | Papyrus Watch - Exposing the overuse of the Papyrus font. 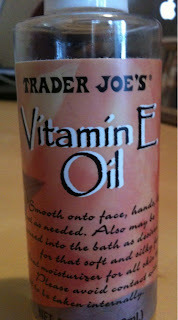 Ah, good old Trader Joe's Vitamin E Oil. I don't quite know if this si something you eat or put on your body. Thanks to Ankur for this shot he snapped form a coworker.